Battersea Dogs & Cats Home is the best–known animal sanctuary in the world. Since it first opened its doors in 1860, millions of abandoned and abused pets have benefited from its refuge. Around the world Battersea is a byword for compassion and hope. Here is the story of this remarkable institution. At its heart are the characters that made Battersea what it is today, from Mary Tealby, the extraordinary founder of the Home, to Airedale Jack, the dog who became a hero in the trenches of the Great War. 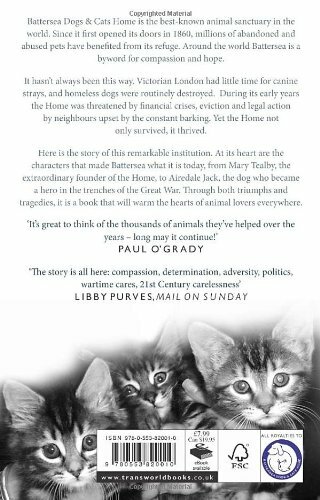 Through both triumphs and tragedies, it is a book that will warm the hearts of animal lovers everywhere.